While debate over the farm bill has mostly centered on food-assistance programs, an under-the-radar provision in the omnibus legislation could greatly assist farmers and ranchers who operate on heirs’ property—that is, inherited land that lacks clear title. 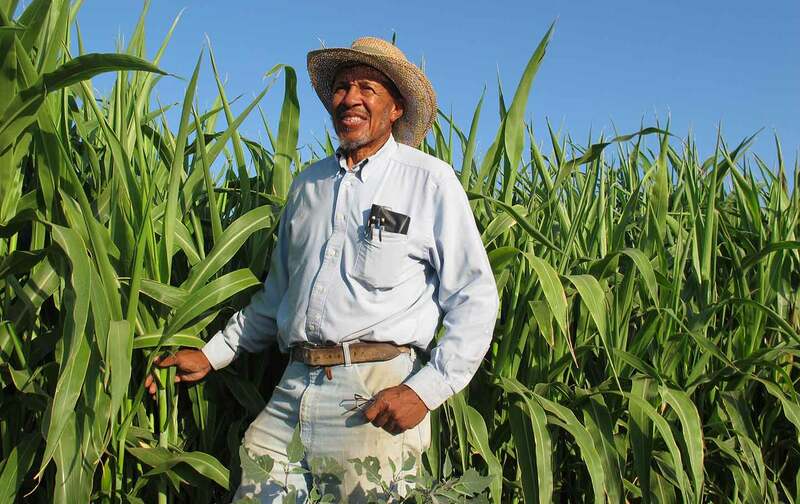 The provision is particularly important to black farmers, because an estimated 40 percent of African American–owned land is located on heirs’ property and, as a result, those farmers have been blocked from federal farm programs. This article originally appeared at the Food & Environment Reporting Network's AG Insider. The Senate version of the farm bill includes provisions that would allow heirs’-property owners to participate in Department of Agriculture programs and lending, marking a watershed moment for advocates who have been working for decades to assist the mostly low-income farming families who struggle to access federal support programs as a result of owning heirs’ property. Thomas Mitchell, interim dean and professor at Texas A&M University School of Law and a leading expert on heirs’ property, says that the federal legislation comes at the “most exciting time I’ve ever seen in terms of the willingness to address heirs’ property issues.” Mitchell served as the lead author of the Uniform Partition of Heirs’ Property Act, or UPHPA, a law that provides protections for heirs’-property owners who are facing forced sale of their land. The UPHPA has been passed in 11 states since 2010. Mitchell says it’s “breathtaking” to see how much legal reform has occurred in the past few years to support heirs’-property owners. He says that when he first started working on reforming heirs’-property laws, he imagined there would be a lot of pushback. “The record at the state level of reforming property law to address some of the real injustices that heirs’-property owners experienced had almost universally failed,” he says. The Senate legislation, if passed as part of the farm bill, would also boost the UPHPA. The law allows for federal lending to qualifying heirs’-property owners and gives preference to farmers and ranchers living in states that have passed the UPHPA. Mitchell says that if it passes, that law could “further catalyze” the passage of the UPHPA in more states. A companion bill to Senators Scott and Jones’s Fair Access for Farmers and Ranchers Act was introduced in the House by Representative Marcia Fudge, an Ohio Democrat, on July 11. Nearly 120 organizations have signed on to support the legislation. Picciano says that advocates are working now to drum up more support for the bills as the farm bill goes to conference, hoping that the legislation will survive the reckoning of the House and Senate versions of the bill.